Which pool is a better choice, Chlorine or Salt Water? You buy and install a salt chlorinator in the return line from the filter. This consists of an anode and cathode through which an electric current is transmitted causing the salty water to release chlorine ,pure salt is partly chlorine. You keep the container full of salt to be fed automatically into the pool water. There is an adjustment on the salt chlorinator that you can make depending on the season or need. The pool will be clear and have no chlorine smell. It will not need a shock treatment. You can test the water to make sure everything is as it should be. It will stay clear all the time and there is no other maintenance. These pools are less harmful to your skin and eyes. Salt water pools are much less work also, because the machine adds the chlorine for you, you don't have to manually do it. 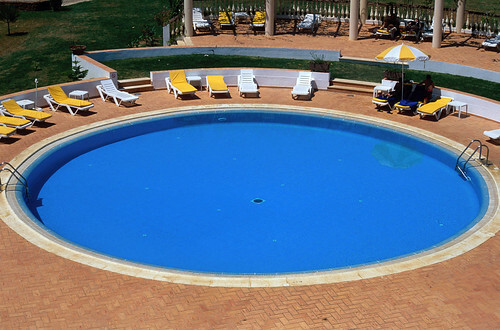 A chlorine pool is cleaned with chlorine, similar to the old fashioned clorox bleach. This chlorine comes in tablet form or liquid. Chlorine has been around forever, because of its power to clean. It is a strong cleaner. To keep your pool clean with chlorine, you must frequently add chlorine. You must continually be testing the water to make sure it has the correct amount of chlorine levels in it. It is also harmful to your skin and eyes. 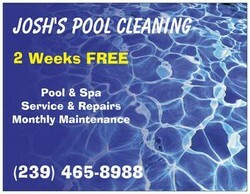 Chlorine pool owners should also shock their pools once every three to four weeks to kill excess bacteria. You should shock precisely and regularly. First, find out exactly how much chlorine is already in the water. Second, calculate how much shock treatment solution you need to add to the water to oxidize the chlorine. Third, add the exact amount of chlorine shock treatment. You have to consider both options and decide which one is good for your specific case when deciding to go with a chlorine or salt water pool. Chlorine pools are affordable, but there is more regular maintenance to keep it up. Salt water pools are easier to keep clean because the generator is continually replenishing the salt, keeping it easy. It does cost more up front, but it is easier on your eyes and skin. Welcome to write on Wiizzley page! Join me and write on Wizzley too. Looking for ideas of flowers to grow in your Michigan garden? These 5 perennials are sure easy to grow and look great in any yard.